The Texas Department of Transportation has spent about $10.6 million in education costs since 2002, nearly half what state agencies have spent in total on tuition reimbursements and other educational programs. Check out our breakdown. When it comes to reimbursing state employees for education costs, the Texas Department of Transportation is far more generous than other state agencies. After reporting this month that the Texas Health and Human Services Commission paid a top aide's $97,020 MBA tuition, The Texas Tribune took a closer look at how much state agencies reimburse employees for education costs. Of the $23.8 million state agencies spent from 2002 to part of January 2015 on tuition, conferences and other educational programs for employees, close to half went to TxDOT staffers, according to data from the Texas comptroller’s office. TxDOT spokeswoman Veronica Beyer could not explain why the agency spends much more on staffer education than other agencies. She said doing so helps the agency attract and retain the most talented staff. 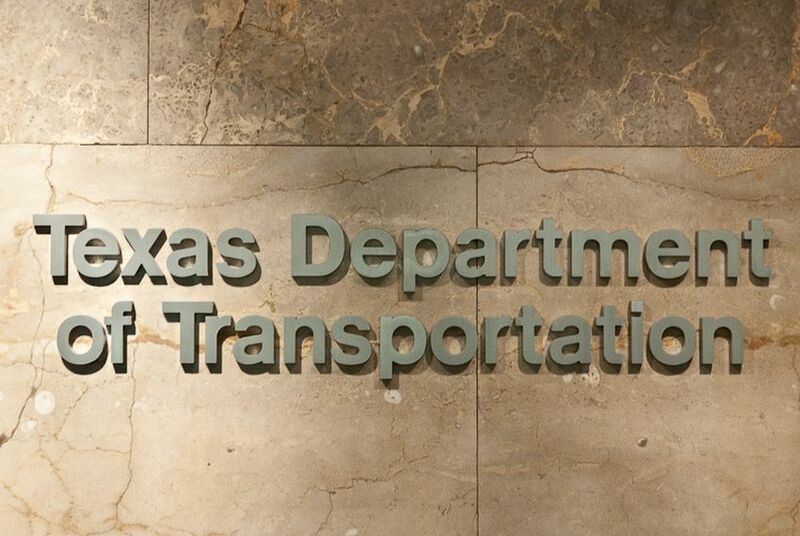 "Investing in this professional and educational development of our best and brightest employees is valuable to the state as it assists our agency in meeting our goals and the transportation needs of Texas,” she said. The agency did not provide the Tribune with details on the types of education its employees were receiving at taxpayer expense. However, an analysis of the $10.6 million TxDOT has spent in education costs shows that the state’s highway agency spends a lot of money at private schools. About $2.7 million of TxDOT’s tuition reimbursements paid for employee education at St. Edward's University in Austin, a private university. Beyer could not explain what was unique about St. Edward's offerings that the same curriculum could be had at a cheaper alternative like a public college or university. Mischelle Diaz, a St. Edward's spokeswoman, said most of the tuition money TxDOT has spent at St. Edward's — about 75 percent — was for undergraduate students in its New College Program, which is designed as a flexible degree program for working students interested in completing their bachelor’s degrees. Diaz said one of the majors St. Edward's offers through the program is public safety management, which could attract TxDOT employees. “It’s a really popular program that we’re very proud of at St. Edward's,” Diaz said. The other 25 percent of the $2.7 million TxDOT spends in tuition reimbursements at St. Edward's is going toward graduate degrees, Diaz said. Other private schools used by TxDOT employees included Park University and Concordia University in Austin, Wayland Baptist University in Plainview, LeTourneau University in Longview and University of the Incarnate Word in San Antonio. The Department of Aging and Disability Services, which has about 17,500 employees, has spent about $3.4 million on tuition reimbursements since 2002, the second-highest total after TxDOT. Most of that was spent on required staff development and training, said Cecilia Cavuto, spokeswoman for the department. “That’s really not a true reimbursement — it’s more of a training contract,” Cavuto said. The Texas Health and Human Services Commission has spent about $519,000 on education costs. It employs about 12,500 people, about the same number of workers TxDOT employs. The HHSC employee who received the pre-paid MBA, Casey Haney, a deputy chief of staff for the agency, resigned last week because he felt news about the tuition was becoming a "distraction" for the agency. He has agreed to pay the state back for the full cost of the tuition. Earlier this month, HHSC Executive Commissioner Kyle Janek announced the agency will be reforming the way employees are allowed to receive taxpayer-funded educational expenses and training. The Office of Court Administration informed the Tribune that nearly all of the $497,800 total listed for them is tied to a short-lived loan repayment program for judicial law clerks and temporary lawyers who worked for the appellate courts in Texas. From 2000-2003, the OCA forwarded eligible law clerk names to the comptroller, which paid off law school debt directly to the school owed the money, according to Megan LaVoie, OCA spokeswoman. Only $7,182 of the $497,800 total listed for OCA went to 17 employees for the state agency over that 12 year period. Not all agencies offer tuition reimbursement. The Texas Department of Criminal Justice does not offer tuition reimbursement to its 37,000 employees, said Jason Clark, the agency’s spokesman. TDCJ employees who want to complete a master's degree in criminal justice can compete for two scholarships offered each year by Sam Houston State University. Recipients this year were Capt. William Wheat, who works at the Beto Training Academy in Palestine, and Capt. Angela Chevalier, who works at the Ramsey Training Academy in Rosharon. To qualify for the scholarships, TDCJ employees must have an undergraduate degree, provide two letters of recommendation, have at least five years' experience with TDCJ and have good performance evaluations, Clark said. Those accepted must maintain a 3.3 GPA and complete the program in two years. "It is a great opportunity for staff members who are invested in criminal justice careers to expand their education. The program helps them to meet their personal and professional goals with the agency," Clark said. * Correction: A previous version of this story said that Casey Haney agreed to pay half of his MBA tuition back to the state. He had initially agreed to pay back half the tuition but later agreed to pay back the full amount. More detail has been added to explain the Office of Court Administration's reimbursement.